Part of having a successful business is ensuring it’s always your clients’ first pick and you can help this with adding some of the Google Ranking Factors to your website. This is particularly important when it comes to your online presence. Do you know that an astounding 97% of internet users do not click past the first page of results? Also, 55% of all clicks visit the top three organic search results they see. This means that if your website doesn’t appear on the first page of search engine results and further in the first top 3 results, you are losing clients and sales to your competitors. Fortunately, outranking your competitors isn’t an impossible task. You can increase the likelihood of ranking above your competitors in the SERPs (Search Engine Results Page) by ensuring your website reaps the benefits of Google Ranking Factors. Google uses a ranking algorithm that filters search results based on certain factors. This algorithm has undergone many updates, for instance, the “Penguin 4.0” and “Possum”. These updates introduced a smarter, more refined, and more semantic search experience. Although the exact number of Google Ranking Factors remains Google’s little big secret, SEO experts have arrived at a list of more than 200 ranking factors! 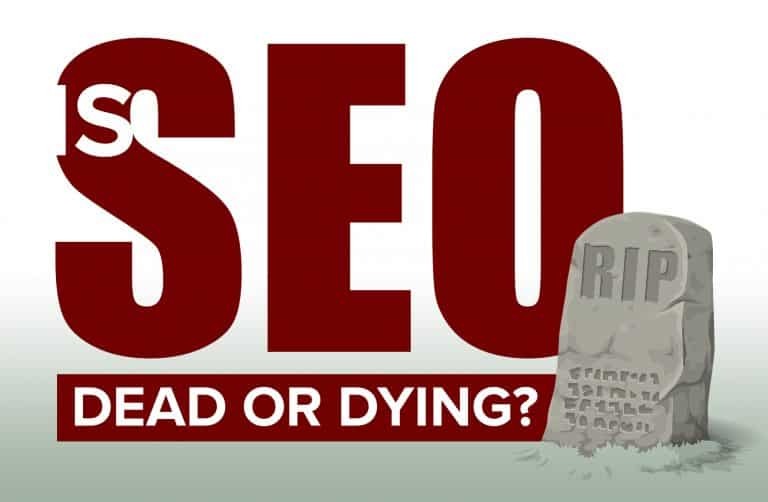 How are you going to fit all of these in your SEO strategy? We work with many clients who want to rank highly especially in Local Searches. One thing that needs to be taken into account is that Search Engine Optimization is tailored differently depending on whether it is targeted at boosting Local Search ranking or international search ranking. Since we specialize mostly in businesses seeking a stronger Local Search preference, I’ll give you a scoop into the Google Ranking Factors necessary to achieve your local SEO goals. As much as there are 200 plus ranking factors at your disposal, they hold different weight on various grounds. Google revealed that 40% of mobile searches have local intent. This is a great opportunity for your local business, one that when well managed and used would lead to great sales for your business. Before I give you some of the factors that we like to incorporate in the process of customizing client website pages for Search Engine Optimization, one factor that likely holds all other factors is providing Google with as much information about your business and its product or service as possible. Google’s Possum update diversified the Local Search results based on proximity, address, and price among other factors. These improvements are made in favor of your business, provided they are implemented properly on your business site. 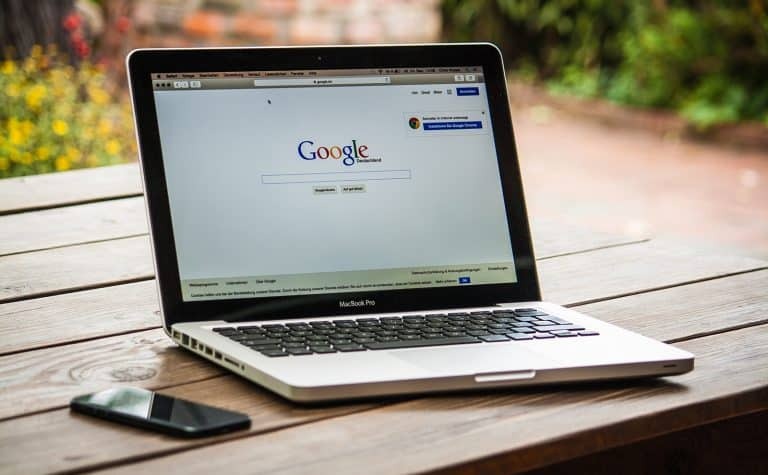 We specialize in helping you outrank your competitors in Google SERPs, so make sure you to have us perfect your website. A website analysis is required before any SEO work is started on your website. The analysis is an in-depth look into the structure of your site. 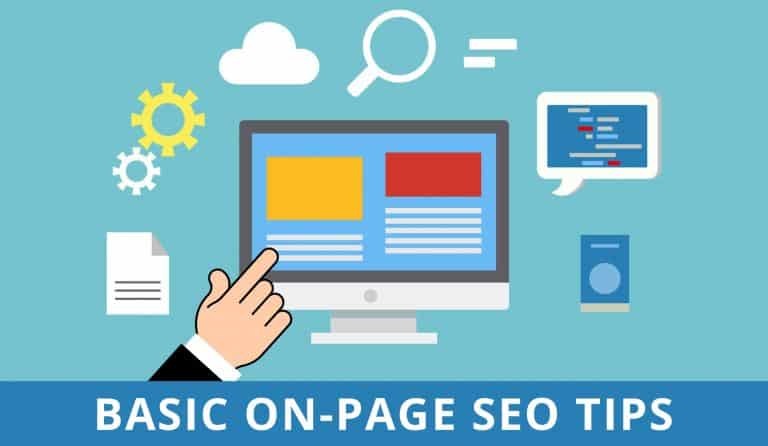 This is one of the most important stages for gaining valuable information about your site and will properly guide the SEO that will be implemented. If you plan on or are currently running an SEO campaign, website analysis will assist you in locating problems and identify what is currently working well. Areas in your site that may not be working and impacting your rankings will become priority. By viewing Google Analytics, this will also show us the total amount of people who have visited your website, percentage of visitors who came from outside sources, the total amount of new visitors, and page ranking. This helps us determine if the optimizations are working and where else to focus. During the keyword research phase, research and identify high traffic, low competition keywords to go after to drive targeted traffic to your site. People enter queries into a search engine looking for specific information. By utilizing the proper keywords, we help direct them to your site by developing pages specifically for related keyword groups to match those queries. The objective of keyword research is to generate specific, targeted traffic. The process of keyword research involves brainstorming, keyword research tools, and testing. One of the most crucial parts of any business owner or entrepreneur is understanding your competition. The better your understanding of what the competition is doing, the more we can create a strategy to outrank them and increase the likelihood of retargeting their traffic to your site. Title tags are a segment of HTML code in the header of your webpage. These titles and header tags will help search engines understand what content exists on your page. These tags appear in different sections such as: browsers, SERPs – search engine results page, on-page content, as well as external sites. The goal of a meta description is to provide a short summary of information and content on your webpage. Title tags, or meta titles are very limited in this regard but still yield high potential for traffic. A meta description gives you and extra area for text to inform visitors about what your page is about. It also gives them a more compelling reason to visit your page. When you have visitors come to your site, you want to make sure you allow them to navigate quickly throughout your pages. 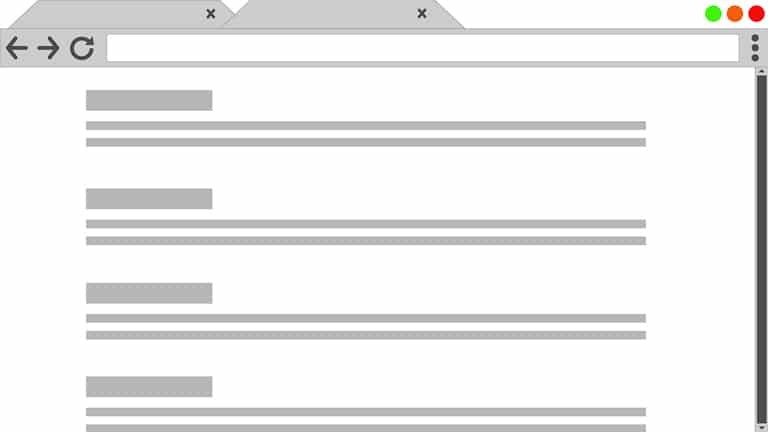 Just about every website has what’s called a navigation strip that occupy the top on bottom of your website, it stays the same and never moves. These provide links to major sections of the site, so your visitors don’t need to spend too much time looking for what they want. One of the most important things for your website. As we mentioned in the last post, these are what people are going to enter into a search engine, to find what they’re looking for. Often times, people will enter entire phrases of keywords. However, Google’s system will scan through the words, find keywords that are most relevant to the subject they’re after, and direct them to the most common sites. It’s very important to keep these simple, short, as well as to the point. For instance, a single word can mean a plethora of different things, which is why staying optimized is important. Going back to how keywords are important, we’re going to cover short tail keywords. In online advertising, short tail keywords are less specific and consist of one word. For example, egg, would be considered a short tail keyword because it’s the only one but lacking in specifics. These keywords are also more competitive. Advertisers are known to bid on these words, intending on ad placement on the most popular search engines for more common phrases. A long tail keyword is a phrase which contains three or more words. These are used to target a niche demographic, as opposed to broader, massive audience. They are more specific than short tailed keywords and can benefit you in both the short and long term. These will also rank higher on search results because of their specific uses. Latent semantic indexing (LSI) and/or Synonym represents an algorithm used by search engines to locate similar words to the main word used in a contextual form. To put this into perspective, words like “tiny”, “compact”, “little” are all synonyms of small. It helps the search engine better understand what your content is related to. Therefore, generating more relevant results. It’s used for content creation, reader engagement, and improves search engine ranking. Images account for a sizeable amount of bytes a webpage has to load. As well as using a large amount of visual space. Optimizing images will only do better for you in the long run. Not does optimization limited the amount of bytes used, it can also provide performance improvements for your website. Locating the most optimal settings for your images requires a thorough analysis, along a plethora of dimensions. Look into format capabilities, content of encoded data, quality, and pixel dimensions. Alternative text is a word or phrase that can be inserted into a webpage to tell a viewer the nature of contents in an image. When you browse through a website and see images, you may notice a small bit of text just below it, this is an example of alternate text. There could be an image with a series of fruits. Say, there’s a apple, an orange, and a banana within the picture. Just below the image you may see something like this: “From left to right we have an apple, an orange, and a banana. Picture taken by John Doe, May 12th, 2015.” It’s a good way to keep your viewers informed of what they’re looking at. Schema consists of markup code or semantic vocabulary is what you would put on a website, which allows search engines return more informative results to potential guests. Pair this with rich snippets and you’ll be golden. Schema tells the search engine what your data means, not just what it says, which can be helpful for rank. It uses a unique semantic vocabulary within a microdata format. It is also set of code markers that instructs major search engines what to do with the data on your website. World Wide Web Consortium allows users to check HTML and XHTML for well formatted markup. This is a very important step towards ensuring better quality websites and the pages on said website. W3C will also help you receive better rankings within search engines. One major reason why this is so important is because it scans code for errors which could have a negative impact on the quality and rank for your site. Search engines will check your site for any issues. If invalid code is found that breaches a specific rule set, your site could be removed from indexing. A site map is a list of pages contained on your website. It’s typically a hierarchical list of pages on your website, making it easier for users to navigate around. This is used to help a search engine understand how to the organization of your site’s content. Search engine robots will crawl through your site intelligently. You can use a sitemap to provide search engines with metadata pertaining to specific content on your website. A sitemap is important for handful of reasons. They should be used if your site is very large, a large amount of content on your site that are isolated, few external links, and rich media content. No matter what type of code you’re going to be working in, there’s always code cleanup. Code cleanup is the act of structuring, reformatting, optimizing, and cleansing your code so that your site can run fast and stay stable. This is another important step not only for the reasons above, but it cleans up leftover data structures, unwanted material from memory and the filesystem of your project. Doing this will also help you maintain a structure for your site, code that’s easier to understand, and make modifications to. Getting your site up on social media will benefit you in so many different ways. Social media marketing and SEO intertwined together which focus on building an appealing identity for yourself will organically attract visitors to you, which will establish trust and build your brand. Let’s take a look at what we can do to make this happen. Integrating social media to your website isn’t difficult. It starts with a good content strategy, which coordinates all of your marketing and content ideas into a singular, large plan, which is supported by the use of social media hubs. It’s a good idea to start up a social media presence for you and your brand. Using things like Facebook, Twitter, LinkedIn, Google, YouTube, and Instagram. After this is done, you’ll want to provide links to your social media on your website. Once you have your social media setup and integrated into your website, it’s time to share it with the world! This can be done through word of mouth, talking to people, providing frequent news and content to your social media sites. Doing this in person is just one step of a grander design. Posting on forums is the easiest way to get yourself out there as you are more likely able to find someone who will spread the word. Provide links, and advertisements on your forum posts to insure you get the attention you need. Building content is another important step to the success of you and your brand. There are a number of ways to build content, for now we’ll just go over a couple that are the most common ways of getting your brand somewhere. Creating a blog is a good way to maintain a chronicle of ongoing information for your potential viewers. A blog features commentary and provides links to important sites you may be affiliated with, or articles located on other websites. This can be any range of content that has an endless amount of creativity. It’s important that you have a blog so you can continue to bring people to you. Be sure to write at least one or two blogs a week to maintain relevancy and keep your visitors returning. Among all SEO techniques, submitting articles can be one of the most successful things you’ll ever do. This refers to the submission of articles that you write that are relevant to your business, and getting them added to the most popular article submission directories. The primary purpose behind article submission is to attract a large number of visitors, without incurring massive cost. Posting articles can positively affect the rank of your business and brand. The world of SEO and link building is always changing, and today, the importance of building the highest links has never been more important. Our need to understand and implement campaigns of the highest quality is very important if you’re going to compete with others and be able to thrive online. This process involves the act of acquiring hyperlinks from other website to your own. It’s the way users navigate between pages. Search engines use hyperlinks to crawl the web, crawl links between individual pages and your own, as well as crawl links between entire websites. As mentioned above, directory submission is a great way to get noticed. At this point, you’ll want to locate the most common submission directories online. By doing this, you will gain more traffic on your site, provided you include relevant links on your articles. Social media outreach is one of the best ways to build relationships with potential viewers, increase viewer engagement, and attract more eyes to your content. This technique can be tough at times, but the results you’ll receive will make your efforts worth it. This is the process of using social media to raise awareness, presence, for your brand or content, or to build entirely new relationships with potential partners. Search engines see links as a vote for the best website quality. Links to your website, as well as links within your website can directly affect where your website ranks on search results. As a result, the best practice is to remove these damaged links from your website or update them. Cleaning up broken links can add context to your website, improve visitor and user experience, as well as make content easier for search engines and visitors to explore. On the flip side, too many broken links on your website could potentially flag it as low quality to search engines, resulting in rank and relevancy loss. It’s important to fix these as soon as possible to maintain a stable, high quality website. To close out this post, we will touch on monthly reports. A good search engine optimization strategy is based solely on careful planning, quite a bit of work, and good choices made on key issues. At the end of each month, it’s a good idea to analyze how you did, these reports will be a key indicator of your SEO performance. Monthly reports mirror your efforts. Remember to include ranking, linking, and analytics data and integrate them into the same frame which offers better analysis based on keywords. Keywords define real-life elements such as brand names, product names, and concepts. Be sure to maintain consistency throughout your report. Creating professional looking reports will offer clearer guidance and a more pleasant experience reading them. It’s important to know that your rankings will fluctuate up and down throughout the month but as long as, on average, you are gaining ranks overtime, that is a helpful indicator that your SEO efforts are working.